Alan Fetner, D.M.D. & Michael Fetner, D.M.D. The anterior maxilla can be the most demanding area to place a single tooth implant. This presentation will take you through the decision tree from site analysis to the final restoration. Various implant systems will be compared with emphasis on choosing the right implant for the right case. depth of placement can be varied. This variability can be described as the “fourth dimension” in implant positioning and can allow the clinician the versatility to try-in stock abutments during surgery and to reposition the implant either deeper or shallower to maximize the use of these abutments. Dr. Alan Fetner has been a practicing periodontist in Jacksonville, Florida since 1988. He is in practice with his wife Dr. Mary Hartigan who is also a periodontist. 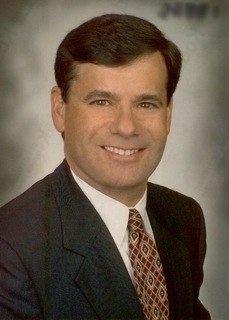 Alan received his dental degree in 1979 from the University of Florida Collage of Dentistry and his perio training also from the University of Florida in 1985. Alan was a general dentist for 5 years before becoming a periodontist. For the past 28 years, he has maintained a part time faculty position in the Department of Periodontics at the University of Florida and the last 20 years with Florida State Collage Hygiene School. He is currently involved in dental research with emphasis on periodontal/ implant relationships. In the last 2 years he has published two papers on subcrestal placement of dental implants and also 2 papers on oral pathology. Dr. Fetner has given over 150 programs nationally, Canada and Europe primarily on periodontal therapy in the general practice and Advanced Implant Therapy. Dr. Fetner is a active member of the ADA, the American Academy of Periodontology, Academy of Osteointegration and the Florida Association of Periodontists. He is a Diplomate of the American Board of Periodontology and served as president of the Florida Association of Periodontists in 2000. Dr. Fetner is a Fellow of the American Collage of Dentists. Dr. Michael Fetner is the son of Dr. Alan Fetner. Michael completed both his dental education and periodontal residency at the University of Florida College of Dentistry. 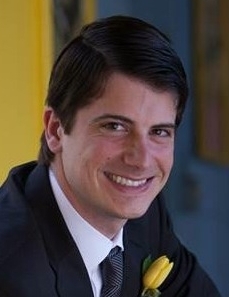 As a resident, Michael was awarded chief residency, and the prestigious Lazzara Fellowship in Advanced Implant Surgery. Michael currently practices periodontics at Fetner and Hartigan Periodontics in Jacksonville, Florida, and is a Research Fellow and Adjunct Clinical Professor at the University of Florida Periodontology department. This program is sponsored in part by Dentsply.